It’s easy to forget the larger, community benefits of an Open Internet that doesn’t discriminate based on the content flowing through the fiber (or however it gets to you). But let’s get specific. How does this open network nurture and support underserved and marginalized LGBT communities and why does something like Net Neutrality matter to our future? Earlier this year, The LGBT Technology Partnership released research that I co-authored with media scholar and sociologist Jessie Daniels. In it, we lay out the reasons that LGBT-identifying individuals and our communities became early adopters of broadband technology and why the Internet continues to play such a pivotal part in our political and social lives. Maintaining Net Neutrality – keeping all information equally accessible on the Internet – is something that all LGBT-identifying people and our allies should care about and fight to maintain. I have researched the Internet’s role in LGBT life for more than a decade. I study how and why LGBT-identifying young people and youth questioning their identities use the Internet and other media. There are 2 main reasons that marginalized communities, including LGBT people, use the Internet more than the typical U.S. citizen: 1) we are able to go online and connect to people we identify with, without having to battle the stigma and potential physical threat that comes with accessing LGBT-supportive physical spaces and 2) we are able to access services and information specifically for us – from dating sites to health information – tailored to our needs…not just a clumsy version of what’s made available to our heterosexual peers. Let me give 2 concrete examples from my fieldwork among LGBT youth in rural towns throughout Southeast Appalachia. When Brandon, a young person living in Eastern Kentucky, wanted to find other young African-American, bi-identifying people to talk with about the pros and cons of coming out before turning 18, he literally knew no one and found no organizations in his town of 5,000 where he could meet other out, bi-identifying youth. He went online and found chat rooms for his region. All of them were dominated by adults. He had to spend a significant amount of time, searching through various websites and YouTube videos to access other kids his age to talk with. In a perfect world, he wouldn’t need to work so hard to find someone just like himself online and he’d have neighbors and friends in his high school to turn to for support. But there’s no critical mass of LGBT-identifying people in his home town (yet! We can hope that changes for him). That makes the Internet an important communication channel connecting him to a broader community of LGBT-identifying folks. But the Internet is not just for accessing other LGBT-identifying people online. As I said, the Internet has become a vital resource for accessing information specifically tailored to us. So, for example, many of the towns I worked in had no LGBT-specific public health services or HIV prevention information available for LGBT-identifying youth. That meant braving the school nurse or walking into a local health clinic and talking with someone who they could not assume to be an advocate for LGBT rights. Adults in big cities like DC might struggle with doing that. Imagine being a 14 year old in a very small town doing that. Youth I work with depend on web-based resources, like Trevor Project, Advocates for Youth, YouTube, and other non-profits that list resources for LGBT-specific health information. The Internet is a vital communication and information channel. The presumption that heterosexuality is the default setting makes the Internet a precious resource for LGBT-identifying people. LGBT and questioning youth in particular need places for them and information written for them readily available. It’s not a perk. The Internet has become a basic need and a public good. From my perspective, the Net Neutrality debate is important to LGBT communities because, simply put, LGBT-identifying people will be collateral damage if Internet Service Providers (ISPs) are allowed to discriminate among content, apps, or services. without Net Neutrality protections, content providers generating critical information would likely have to pay more to get their content into (and from!) the hands of LGBT people. That means ISPs become the defacto gatekeepers controlling what content survives and what content falls by the wayside in the wake of a market-driven content tsunami. This, in turn, will raise the cost of providing LGBT content, reducing the overall amount of LGBT content available. This will be a significant barrier to the non-profit sources of content that have proven critical to LGBT communities, including information provided by the U.S. Government. 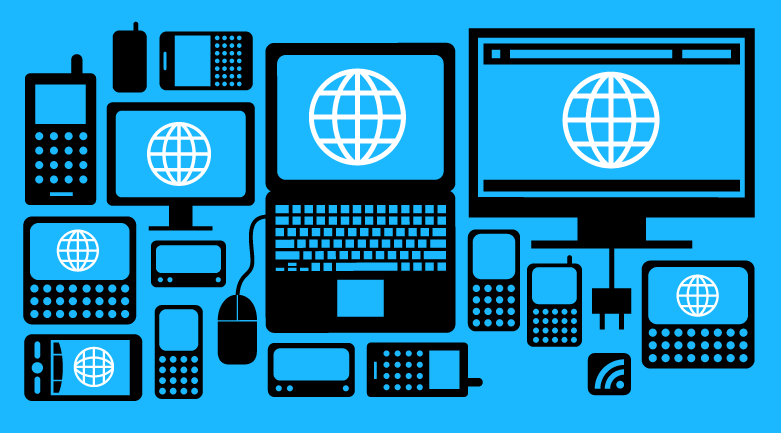 Net Neutrality is a simple principle: don’t make it harder to access or download something on the Internet based on the content of that information or service. Individuals, not our Internet Service Providers, should determine the information that they can access online. ISPs should not be legally allowed to block content or limit a private citizen’s opportunity to see what information is available online for them to purchase or made available to them for free. 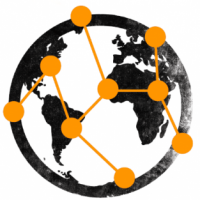 Like broadcast TV, phones, and libraries, the Internet plays a special and critical role in connecting and educating citizens. I wish that every public school, community center, and local radio and public access TV station offered a wealth of LGBT-specific resources. They do not. The Internet, currently, picks up this important duty for the public. Right now, like all citizens, LGBT people and our allies have the basic right to access any information available on the Internet. LGBT-specific information on the Internet – from other young people’s websites to the It Gets Better campaign on YouTube – can be vital to LGBT lives, particularly young people looking for affirmation and reflections of themselves. LGBT-specific information is typically hosted or created by non-profits and private individuals who care about LGBT people’s needs. In the same way that it should not be harder at the public library to see the stack of books most relevant to LGBT communities, it shouldn’t be harder or cost more to access information specific to LGBT communities. The providers of Internet access are not just delivering binge TV through Netflix. They are serving up those webpages that LGBT-identifying and questioning young people rely on to survive and thrive. As much as I love the entire catalogue of Queer as Folk, it is not the same content – and cannot do the same vital community-building work – as coming out videos accessible on YouTube or HIV prevention information, local resource lists, and opportunities to access other LGBT-identifying people available through non-profit websites. If ISPs are allowed to sort content differently, those random, youth-created and driven websites that offer crucial, eclectic information to small, niche audiences, are, potentially, at risk of being lost to us. I don’t think we, as LGBT people and allies, can afford that loss. On Monday November 10, 2014, President Obama made a statement outlining four “bright-line rules” for maintaining Net Neutrality, including no blocking, no throttling, increased transparency and no paid prioritization. I wish that we could achieve keeping content equally accessible without regulation. I sincerely do. 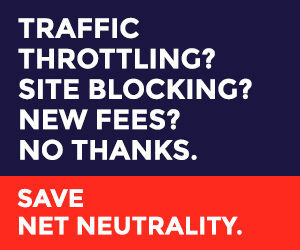 But, right now, all we have are promises from the Internet service provider’s major companies that they will not block content, throttle download/upload rates, decrease transparency behind their billing or let content owners pay ISPs to “cut to the front of the line” of the information buffet that is the Internet. There are several cases, dating back to the beginning of the content-rich web of the mid-2000s, that suggest Internet service providers will block or slow down content delivery and price some content differently to keep competition at bay. There are 3 options: 1) make it illegal for Internet service providers to discriminate among content, apps, or services online or 2) fund municipal broadband for every community in the United States so that all citizens have access to the Internet’s content or 3) do both 1 and 2 and let the market and innovations, like playing with unlicensed spectrum, handle the rest. The Internet operates as a public good. We need it to register for many government services at this point. We can’t go back and say, “Internet content and services are just extras that society can do without.” We’ve got to have clear guidance and enforceable rules to maintain the deep investments we’ve already made in making the Internet one of the world’s greatest information repositories and sites for community connection, particularly among communities, like those of LGBT folks, with limited resources and social opposition offline. Having worked in the rural U.S. for some time, my sense is that the best solution for ensuring an open Internet is by recognizing what ISPs have become: stewards of a critical public resource. We use our Internet connections to talk to people, pay our parking tickets, and make appointments to get our drivers licenses. LGBT communities use Internet connections to reach people like them and share strategies on how to move through a world that still can’t decide if we have the right to marry the people we love. Those are services and information resources necessary for a robust and healthy civic and civil society. It’s too late to treat the Internet like an expendable, frivolity. LGBT communities are particularly dependent on the Internet to find and connect with the people and information that we need to live healthy and productive lives. What can you do about all of this? Get the facts, advocate for a free and open Internet to your local representatives, and support your local LGBT activists creating content that reflects the richness and diversity of our lives and communities.